Now that we’ve had a few warm days and some nice rain, we’ve been doing a lot of yard work at our new house. We really have no idea what we’re doing, but we’ve attempted to lay some grass seed and keep moist. It should germinate in the next few days. We’ve also been clearing out the flower beds, raking, mowing, weed eating, and many other things that seem to keep us busy. (Coming from an apartment, we’re keeping Lowe’s in business!) While outside I ran into these random flowers. They are kind of pretty, but they seem to have spread throughout our yard, so I’m not sure if they’re weeds. A little flowering plant in our front yard. 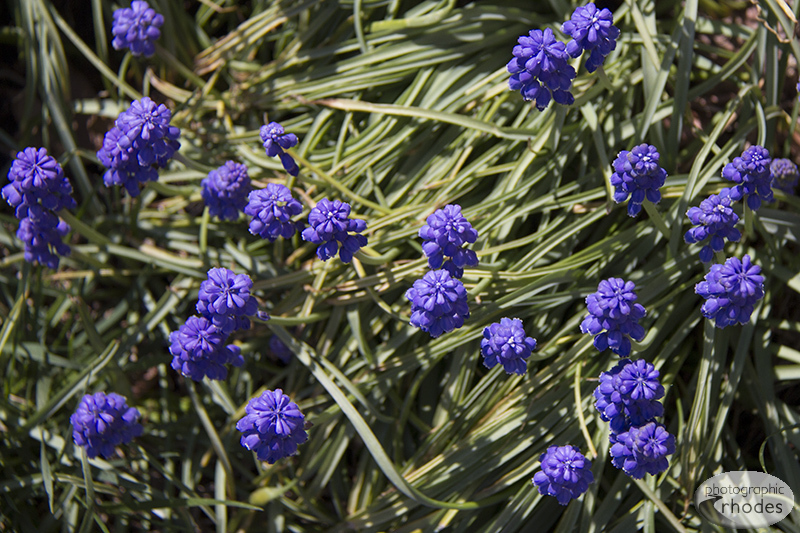 According to Google it’s a grape hyacinth. There’s, well, a lot of them.